This former Mystery is full of tiny details ! 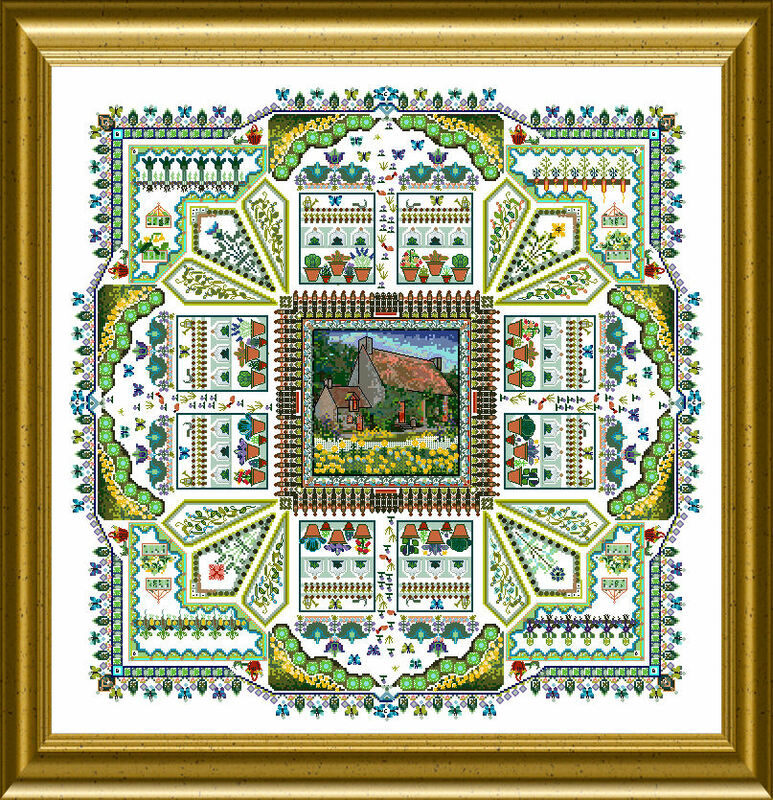 You will see whilst stitching – and the more you add distance to the finished piece, the more you “only” see the ornamental, caleidoscopic effects. In the center is a typical French farmhouse, inmidst full Summer – surrounded by sunflowers and other brightly colored blooms. The “Potager” is the typical french veggie garden, with some fruit and herbs – everything you need everyday for any meal…. just at hand, stepping out of the door. Many Special Stitches add to the dimensionaliy of this design – and together with the variety of threads and structures you will have an entertaining stitching experience ! 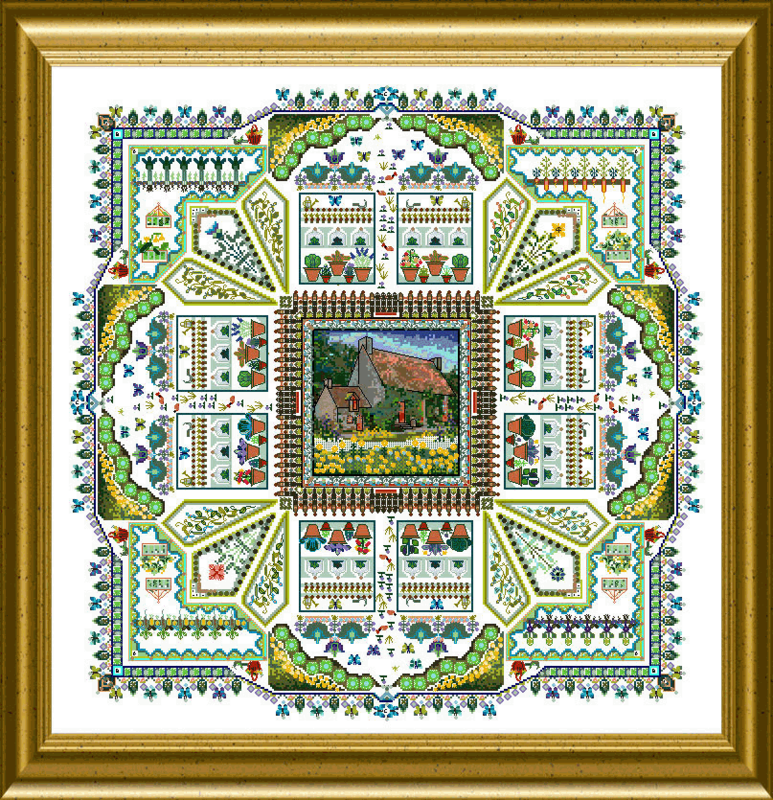 The mere design size is 330 x 330 stitches.